Announcing the Winners of the 37th annual National Magazine Awards! The National Magazine Awards Foundation (NMAF) is pleased to announce the winners of the 37th annual National Magazine Awards. At this year’s gala on June 6, presented by CDS Global and hosted by humourist (and award-winner) Scott Feschuk, the NMAF presented Gold and Silver awards in 47 categories representing the best in Canadian magazines from the year 2013. See the complete list of winners at magazine-awards.com. How Much Does a Street Cost? Sponsored by Impresa Communications Ltd.
More than 500 members of the Canadian magazine industry—publishers, editors, art directors, writers, photographers, illustrators, circulators and more—joined esteemed sponsors and other guests at the 37th annual National Magazine Awards gala on June 6, 2014, at The Carlu in Toronto, presented by CDS Global. This year, from nearly 2000 individual entries received nationwide, the NMAF’s 238 volunteer judges nominated a total of 376 submissions from 92 different Canadian magazines for awards in 47 written, visual, integrated and special categories. The National Magazine Awards Foundation acknowledges the financial support of the Ontario Arts Council, an agency of the Government of Ontario, as well as the Ontario Media Development Corporation. The NMAF thanks its corporate sponsors Accenture, GE Canada, Manulife Financial, RBC Royal Bank, The Lowe-Martin Group, Canadian Society of Magazine Editors, Penguin Random House and Reader’s Digest Foundation for their generous financial support of the National Magazine Awards. 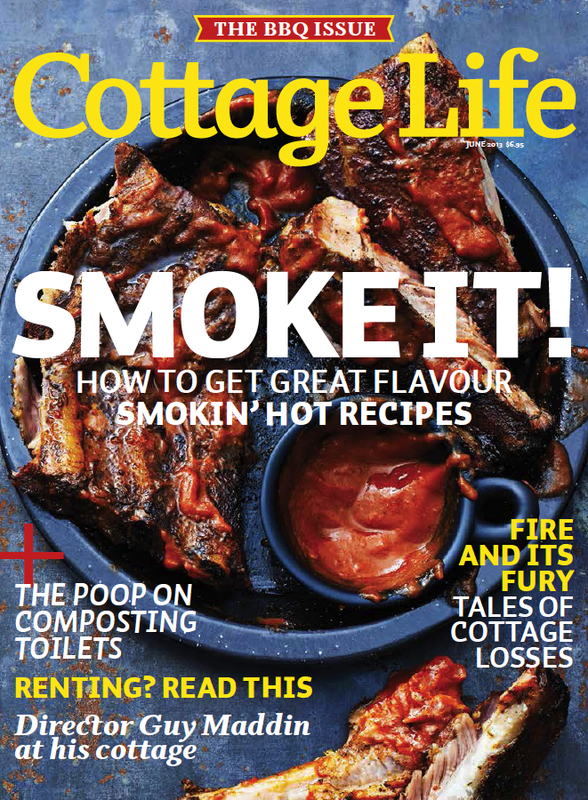 The NMAF thanks its media partners Cottage Life Media, Impresa Communications Ltd., Masthead, Rogers Media, TC Media and Toronto Life for their generous support of the National Magazine Awards. The NMAF thanks its event partners CNW Group and Media Vantage, The Carlu, Daniel et Daniel, Relay Experience, KlixPix and Michèle Champagne for their generous support of the National Magazine Awards. The NMAF gratefully acknowledges all its suppliers and its contributors who donated gifts in kind to support the awards program. We thank them for their generosity, interest and expertise. Thanks also to our hard-working event volunteers. And thanks again to our wonderful Master of Ceremonies, Scott Feschuk. The National Magazine Awards Foundation is a bilingual, not-for-profit institution whose mission is to recognize and promote excellence in the content and creation of Canadian print and digital publications through an annual program of awards and national publicity efforts. For more information, visit magazine-awards.com and follow us on Twitter (@MagAwards). One of the most special awards at this year’s gala is Tablet Magazine of the Year, awarded to the magazine that most effectively serves its audience by maximizing the possibilities afforded by the medium of tablet publishing. This year the jury has selected from magazines across Canada 3 finalists for Tablet Magazine of the Year. The Gold medal will be announced on Friday. How Did They Create That Cover? For the 2014 National Magazine Awards, original written and visual content published in a magazine tablet edition or on a magazine website (companion site of a print title or an online-only magazine) is eligible in most categories. Specifically, you can enter content from tablet editions in ALL written categories and ALL visual categories, and you can enter content from websites in ALL written categories except Editorial Package, and in ALL visual categories except Art Direction. Check out the digital magazine section of our FAQ for more information. Open to: Any Canadian tablet magazine or tablet edition of a print magazine published in 2014. Criteria: The award for Tablet Magazine of the Year will go to a Tablet Magazine that successfully fulfills its editorial mission by representing the highest journalistic standards and effectively serving its intended audience by maximizing the possibilities afforded by the medium of tablet publishing. Open to: Any Canadian online-only magazine or companion website of a print title. Criteria: The award for Magazine Website of the Year will go to a magazine website (either a companion site or an online-only magazine) that successfully fulfills its editorial mission by representing the highest journalistic standards and effectively serving its intended audience by maximizing the possibilities afforded by the medium of web-based publishing. Open to: Any original package of related or thematic editorial content produced by a Magazine Website. Criteria: This award goes to the package of related online editorial content that maximizes the potential of web-based publishing and reflects collaboration by editors and content creators. Elements may include but are not limited to web design, written content, blogs, video, photography, infographics, illustration, social media and user-generated content. Open to: Any single video produced by a Magazine Website or Tablet Magazine. Criteria: Eligible content must have been published during 2014, be clearly relevant to the magazine’s editorial mandate, and be part of an editorial process. Open to: Any Canadian magazine website (online-only magazine or companion site of a print magazine). Criteria: This award will go to Magazine Website with the most successful and original overall combination of visual and graphic design elements with functionality and user experience, including ease of navigation, readability of content, successful integration of audio/visual elements and a clear distinction between paid content/advertising and editorial content.. The 2014 National Magazine Awards are open for submissions on December 1 at magazine-awards.com. The deadline for all entries is January 19. Enter by the early-bird deadline of January 11 and save. 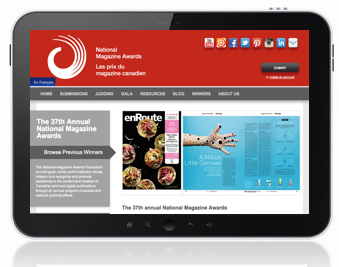 The National Magazine Awards are open to content from all Canadian consumer magazines, whether they are published in print, online or in a tablet edition. Most categories are open to content from any of these types, though specific categories have certain restrictions. For all clarifications, see the list of categories and rules and eligibility. A single publication may enter any and all of these 3 special categories if they meet the eligibility and category criteria. Blogs: This written category is open to a regular series of original written content produced by a Magazine Website that has a recognizable unifying voice or theme. Entries may consist of up to ten (10) blog posts by one or more authors. Online Video: This integrated category is open to a single video produced by a Magazine Website or Tablet Magazine. Magazine Website Design (formerly Best Digital Design): This visual category will reward a Magazine Website with the most successful and original overall combination of visual and graphic design elements with functionality and user experience. Editorial Package—Web (formerly Best Multimedia Feature): This integrated category is open to any original package of related or thematic editorial content produced by a Magazine Website that best serves its intended audience by maximizing the potential of web-based publishing, and that reflects collaboration by editors and content creators. Elements may include but are not limited to written content, blogs, video, photography, data visualization, illustration, social media and user-generated content. Tablet Magazine of the Year: This special category is open to any single issue of a Tablet Magazine that successfully fulfills its editorial mission by representing the highest journalistic standards and effectively serving its intended audience by maximizing the possibilities afforded by the medium of tablet publishing. Magazine Website of the Year: This special category is open to any Magazine Website that successfully fulfills its editorial mission by representing the highest journalistic standards and effectively serving its intended audience by maximizing the possibilities afforded by the medium of web-based publishing. Except where noted in specific category restrictions, content from Magazine Websites and Tablet Magazines is eligible in all National Magazine Awards categories. Check out our Digital FAQ for more information about how we define digital magazines, how to submit content from tablet editions, how the judging process works, and more. Each year the National Magazine Awards Foundation conducts surveys, solicits feedback and hosts round-table discussions with key stakeholders in order to ensure that our awards program is in tune with developments in the Canadian magazine industry. Any changes that are made to the program reflect the consideration of numerous experts from relevant fields as well as the Judging Committee and Board of Directors of the NMAF. The NMAF is grateful to those who volunteered their time to provide us with feedback and sit on our 2012 Digital Round Table and other committees. With any additional questions please feel free to contact us. Visit magazine-awards.com to submit. The deadline is January 16, 2013.